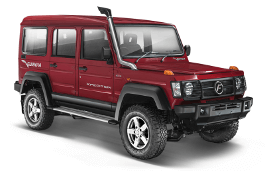 Correct Wheel Sizes, PCD, Offset, Rims and Tire specs for Force Gurkha series. 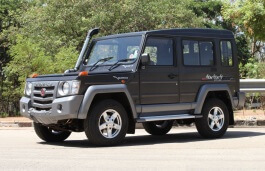 I need to replace Force Gurkha Explorer Tyre and Rim with Merc 17" alloys etc. 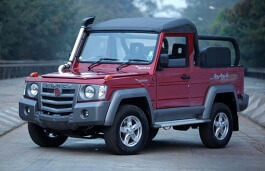 is it possible, can you let me know the PCD of Merc alloys or Steel wheels which can be fitted in gurkha. Post finalising this, i will be upgrading the tyre, can you please help what tyre size will be the best suited for comfortable city ride and with which merc alloys? Hi,vivek singh,Yes,you can use 17'' rims.For the pcd of wheels,it is 5*160.For upgrading tyres,What your current tire size? Thanks John, Current Tyre which is stock is 245/70/r16. I would like to upgrade the tyre size as well as the wheel. I would appreciate if you can recommend me a place where I can personally see a wide range of Merc 16" or 17" alloys.Does exact Pcd replacement is best suited for the vehicle in terms of ride quality, control, mileage, stability and noise levels? OR I have some margin to play with (+) or (-) pcd tolerance in mm? It would be really great if you can resolve my confusion. Hi,vivek singh,both 265/70/r16 and 265/70/r17 are not compatible with your stock tire size.For your request,You can use 'tire calculator' in this website.You can input your stock tire size first and input option tires,then you can get the result.For pcd,the new rims pcd should be same with your current wheel pcd.no more and no less. In addition to above, what parameters will be affected if i upgrade my tyre size to 265/70/r16 and 265/70/r17, which option is best suited and why? Hi, vivek singh,What your current tire size? 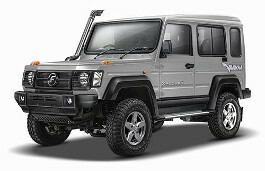 Hi, I have checked your wheel and tire guide for Force Gurkha 4x4. 0.0% shows with an upgrade of 265/55/r18. However, I am unable to find a Tyre of this size here in Delhi / NCR. Can you suggest some makes who manufacture this size of AT Tyre?